The Poly Coffee Table is made from Melamine. It comes in beech colour with silver grey plastic legs. 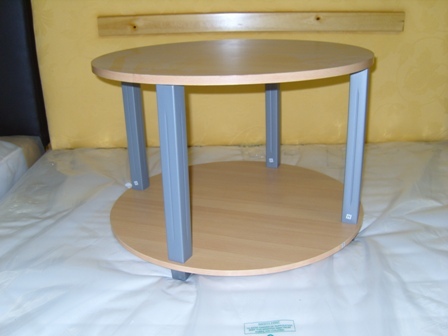 Dimensions: Height 16″ (41cm) Table Top 23.5″ (60cm).